» Can Kittens Drink Goat Milk? If you look through cultural folklore from around the world, both in artwork and stories, the image of kittens drinking milk out of a saucer is very familiar. However, there’s a lot of conflicting information about whether drinking any alternative sources of milk is healthy or beneficial to the development of kittens. You might also be wondering if it’s safe to give it to your weaned kitten as an occasional treat like a drink of tea. We’re going to concentrate specifically on whether kittens can drink goat’s milk, as it has recently gained popularity in both the human and animal world as a healthier alternative to cow’s milk among those with sensitive digestive systems. Can Kittens Digest Goats Milk? The biggest concern about feeding kittens, whether they are orphaned or weaned, is making sure they are receiving the best nutrition to help them grow into healthy cats. There are many commercial supplements and countless brands of pet foods to choose from, so it can be easy to feel overwhelmed. Through many resources, it’s been found that kittens and cats have a generally lower digestive tolerance to both lactose and casein (a protein), which are two components that are found in all sources of milk/cheese. While kittens naturally have more of the enzyme lactase which helps them digest their mother’s milk, they can still suffer the effects of intolerance. 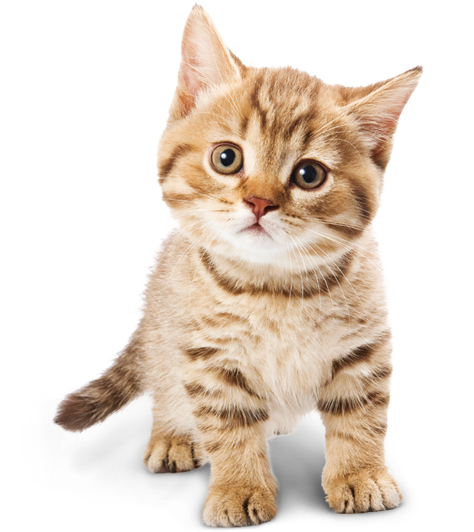 The main symptoms of lactose intolerance include stomach pain and diarrhea, which can cause a small kitten to become seriously ill and require veterinary attention. As this report shows, goat milk contains less lactose and casein than cow’s milk, which means that kittens can digest it easier and retain more of the nutritional properties that goat milk provides. Although, it should be mentioned that if your kitten is old enough to eat solid food, feeding a balanced commercial kitten food diet will meet their nutritional needs. In this case, a bit of goat’s milk can be an occasional tasty treat. Although there are varying opinions regarding feeding goat’s milk, the general consensus I’ve researched has shown that its use is more widely accepted as an alternative nutritional source and supplement for kittens. Some veterinarians do suggest only using goat milk as an emergency alternative, but agree that it’s valuable in these circumstances to help kittens in need of support until they stop growing. For instance, this veterinary clinic suggests goat’s milk over cow for feeding neonates if you don’t have access to commercial milk replacement formula. One thing to always keep in mind, when choosing to supplement for weaned kittens is that, like us, they can present with varying degrees of food intolerances and allergies. If you have decided to try giving your kitten some goat milk as a treat and they develop any diarrhea, vomiting or loss of appetite, then you should stop immediately and seek veterinary help if the symptoms persist. As someone who’s been involved with animal rescue efforts in areas with scant resources, I’ve had to improvise in numerous scenarios, including being handed boxes of orphaned kittens when I didn’t have access to a commercial milk replacement formula. Through these experiences and research, I’ve discovered a nutritional recipe using goats milk that has been very successful in raising healthy kittens. Originally taken from my trusty veterinarian tech textbook, I adjusted the recipe using locally sourced goat milk (it helps to know goat farmers!). This was a few years ago, and now similar recipes can be found here. You’ll know within the first day if the kittens are tolerating the formula well, and if not, you can make adjustments. For instance, I found that some kittens thrived better without the added yogurt, so in those cases I added a few drops of olive oil to aid with digestion and avoid constipation issues. Here’s some olive oil that I’d recommend that you can use if you’d like to copy my formula. Given it’s recent popularity, if you live in a city or an urban center, buying goat milk will likely be as easy as going to your local health food store. If you’re like me, and you live more rurally, you’ll probably have to source out through local farmers. The latter is definitely my preference, to ensure quality and local sustainability. The next decision to make is whether to purchase raw or pasteurized milk, though you can always buy raw and if the kittens aren’t digesting it well, you can pasteurize it yourself. If you’re feeding raw, the shelf life is really important to keep in mind. I was told by the farmers that my supply was only good for up to 3 days in the fridge, and this abstract study about storing raw goat’s milk to create powder confirms their advice. Fortunately, you can freeze goat milk, whether it’s fresh pasteurized or raw. Based on my experience and the advice of goat farmers, the milk will stay at optimum nutritional value for up to 6 months in the freezer. In summary, the broad answer to our looming question is yes, kittens can drink goat’s milk. However, as we discussed, there are many factors to take into account when deciding to supplement your kitten’s diet or use goat milk as an alternative to commercial kitten milk replacement formula. Have you ever given a kitten goat’s milk? What was your experience? Thank you so much I love animals and love to help ….